An engagement session we had with these high school sweethearts who met in grade eight. Emmanuel popped the big question to Jen in a cabin during a weekend getaway filled with dancing, fishing and laughter. We took Jen and Emmanuel on a nice stroll around Lighthouse Park in Vancouver, B.C., perfect for this couple who loves the great outdoors. A couple of months later, the day finally came for Jen and Emmanuel to get married. 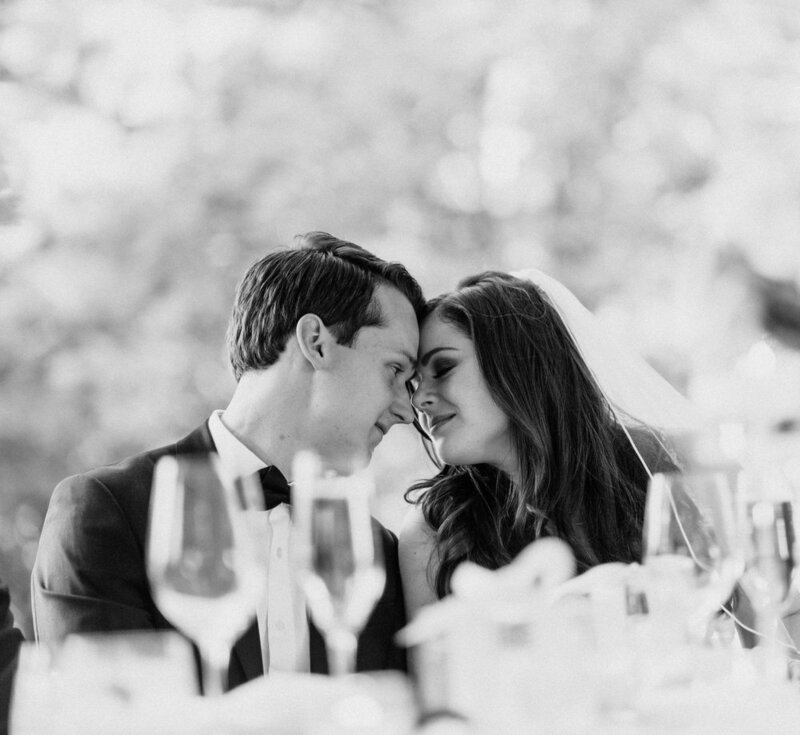 Their celebration was held at the Van Duesen Gardens in a tent open to the summer breeze, very fitting for a couple in love with the outdoors and each other. We loved the soft muted pink tones of throughout the venue and especially the individuality of the wedding party. Jen's bridesmaids were beautiful, dressing in their own styles which, contrary to popular belief, brought together the bridal party in a unique and elegant way. Their session was shot a Crabbe Park, which provided plenty of Vancouver charm with its colourful containers and cruises ships sailing in the landscape. Initially we had planned to shoot at Stanley Park but a certain fad trend had all trainers and Pokemon enthusiasts enjoying the outdoors as well. The night ended with a light show, sing-a-longs, and lots of dancing.